Beneath Milwaukee's calm fa ade, its ghastly past awaits. In life, Charles Pfister played the dutiful hotel host, and he tends this office still in death. The overbearing spirit of Frederick Pabst keeps persistent watch over the mansion that shares his name. The remains of the Newhall House Fire, the city's deadliest disaster, may lie beneath a new building, but those who lost their lives that night refuse to rest in peace. Even the suburbs hold their share of ghoulish secrets, including the furtive dwarves of Haunchyville, the fabled Bray Road Beast and the stubborn spirits lurking in Deacon West's house. 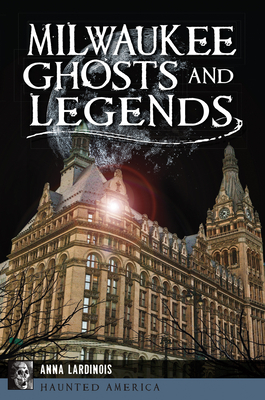 Tour guide and founder of Gothic Milwaukee Anna Lardinois shares the spine-tingling tales of the Beer City's famous, and not so famous, specters and legends.